WSU assistant professor Zhaokang Cheng and postdoctoral fellow Peng Xia, l-r, examine bacterial cultures used to grow genes of interest to their research, such as the CDK2 gene. The genes are then isolated and introduced into cardiac muscle cells to study their function. SPOKANE, Wash. – A new study by Washington State University researchers suggests that a protein called CDK2 plays a critical role in heart damage caused by doxorubicin, a commonly used chemotherapy drug. 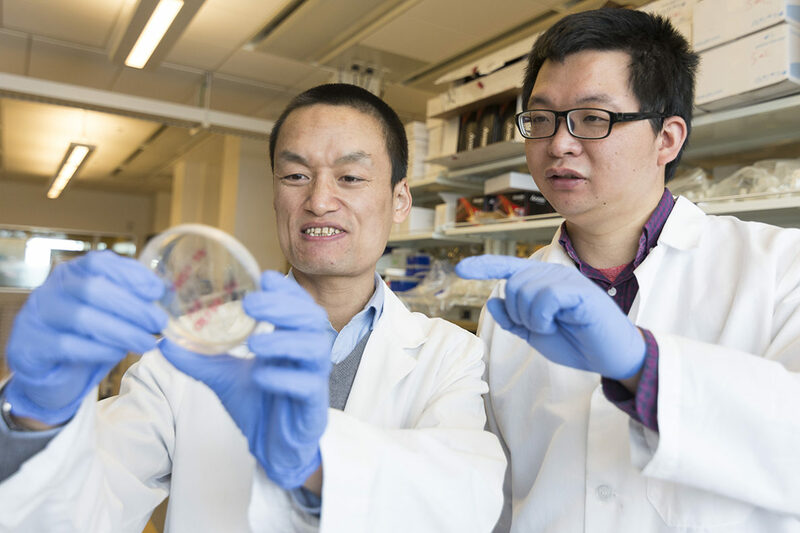 Funding for their published study came from a five‑year grant from the National Heart, Lung and Blood Institute — a component of the National Institutes of Health — along with internal funding provided by the WSU College of Pharmacy and Pharmaceutical Sciences.